Is your tile and grout dirty? Is it cracked? Do you have missing grout? Dark, stained or discolored grout? Your tile and grout floor can look as good as new… for a fraction of the cost of replacement! Elite Stone and Tile Care serves the Central Florida area, including Orlando, Daytona Beach, and Melbourne, with professional tile and grout cleaning and restoration services. Regular cleaning and janitorial cleaning simply cannot achieve the same, dramatic results as professional cleaning. This is especially true of floors with textured finishes, because the pits and grooves in rough areas have a tendency to trap dirty mop water. Improper cleaning processes and the use of improper cleaners may exacerbate this problem. 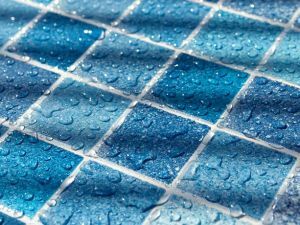 Grout is porous, which means it is full of tiny holes where grit, grime, and allergens collect. Even the most aggressive mop or scrub brush cleaning can’t loosen and extract contaminants. To achieve or maintain a brand new appearance, your ceramic tile, porcelain tile, other man-made tile, and especially grout lines must be professionally cleaned. Elite Stone and Tile Care provides professional cleaning services for your ceramic and porcelain tile and grout floors, shower walls, and other surfaces, and we carry a full line of cleaners and care products specifically designed to keep your tile and grout clean. We highly recommend you take advantage of our grout sealing or color sealing services, which make regular cleaning much easier for more productive. Contact us online or call (407) 567-7660 for a FREE estimate on tile and grout deep cleaning services throughout the Orlando, Daytona, and Melbourne areas.